The Limerick Leader has just launched the competition to determine who is “Limerick’s All Time Great“. Sixteen nominees who have contributed greatly to Limerick’s local life have been selected and the audience is now asked to vote for their favorite in a series of online polls pitting the nominees head-to-head at quarter-final, semi-final and eventually, final stage over the coming weeks. 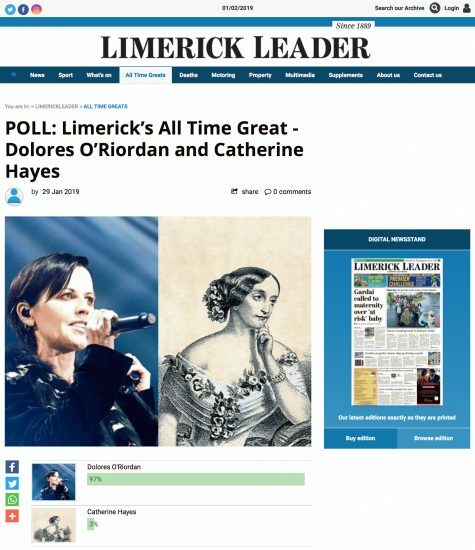 First run is online, and people are asked to choose between Dolores O’Riordan and 1800s operatic superstar Catherine Hayes – poll will close on Friday morning. Just one click to vote, it’s free. 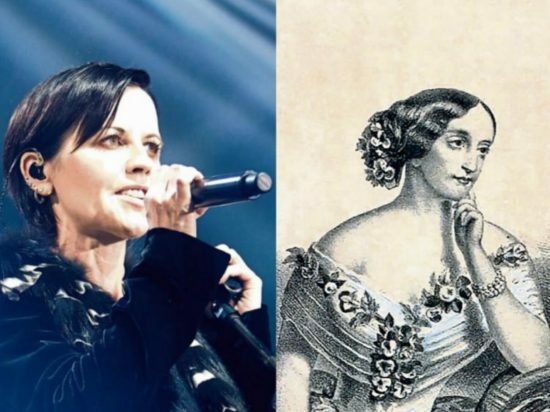 PS: We’re told a Limerick plaza could be named after her is she was to win… Come on Cranberries fans, you know what you have to do! Poor Catherine, this isn’t fair. Just voted for D anyway! This is only phase #1 next time will be a little less easier I guess. Anyway she could win easily all matches. See you for the final. In my opinion, since the vote is open to everyone (not just the citizens of Limerick, I mean) there is a good chance that she will win. All the people proposed are certainly deserving in their own way, but on a global level, unless I’m too ignorant, the best known are Dolores and Richard Harris, great actor I remember for the legendary movie “The man called horse” that could to be voted massively, if they know of the poll, from Harry Potter admirers for being Dumbledor in the movies.